As seen in the hit series Arrow, billionaire Oliver Queen (aka Green Arrow) was stranded on an island for 5 years, where he had to fight to survive. 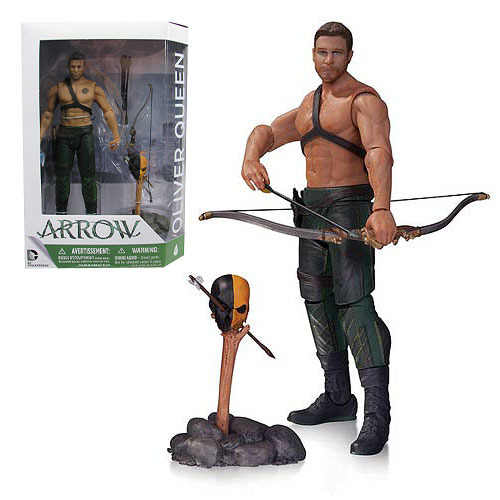 The Arrow TV Series Arrow Action Figure , based on the Warner Bros. TV show on The CW, has multiple points of articulation and comes with weapons and Deathstroke's mask on a stick. Measures about 6 1/2-Inches tall, Ages 14 and up.